Teeth Grinding Treatment in Malmö – Good prices for you! The medical term for teeth grinding or jaw clenching is Bruxismus. Teeth grinding can for some people be a problem when it occurs often, during stress or in their sleep. If occurring repeatedly, the bite – teeth and joints, may be damaged. A usual side effect is jaw pain or headache. Teeth grinding or jaw clenching may be caused by stress or anxiety but also by a sleeping disorder, such as apnea. It can also be caused by an incorrect occlusion (contact between upper and lower jaw), due to for instance missing or crooked teeth. A sore or aching jaw or constant headache might be indications of teeth grinding. It is often your sleeping partner who will make you attentive of the fact that you are grinding your teeth during your sleep, as you will not know yourself.. The bite of a human being is being developed during childhood. It will be gradually formed by changes of your teeth, jaw muscles, tongue and your specific individual habits. Although most of us do not have a perfect bite, there may still be no problems. However, some people might develop an unstable bite, which will cause them to start grinding their teeth. An unstable bite may also be a result of changes due to fillings or crowns, when insufficent consideration has been taken to the individual bite. The dentist always need to check that any change made does not have any negative influence on the bite, as this might lead to potential damage on the teeth, muscles or joints in the long run. The most tricky but also the most important task is to solve the problem with the occlusion. This is exactly what we focus on at TandCity. We give all our patients information about the problems concerning bite, jaw and joints. We think it is important that the patients know how it all ties together, not only how the teeth and bite functions on their own. You have to consider two important components: the muscles and the joints. If the bite is unstable, the jaw will slide sideways during biting. The sliding means a change in the joint position, which will be compensated for by the muscles, so that no joint damage will be done. The compensating movement combined with the unstable occlusion will eventually cause an excessive teeth wear, muscle pains and headaches. Sometimes Bruxismus may lead to disorders in the joints. Clicking sounds may occur and it will be more and more difficult to move the jaw. What will happen, if nothing is done about the teeth grinding? 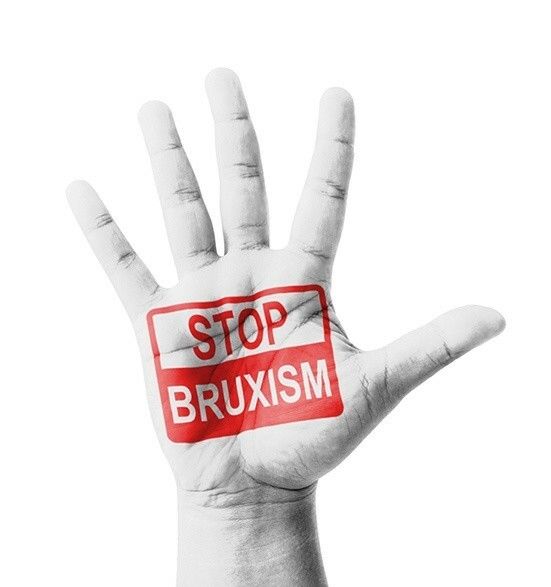 If not treated, Bruxismus can lead to loose, fractured or at worst case lost teeth. A major loss of tooth substance may lead to tooth remnants requiring root treatment, Crowns, bridges or implants. There may also be a negative impact on the joints and muscles leading to aching joints and headaches. First of all you need to book an appointment with your dentist, to have your teeth and jaw checked for us to know what kind of Bruxismus you have. In most cases the first choice of treatment would be an individual bite splint attached to either the upper or lower jaw, to be used during the night. Dental impressions will be taken and sent to the dental laboratory. From these impressions the dental technician will know in what way you are grinding your teeth and which teeth are causing the instability. 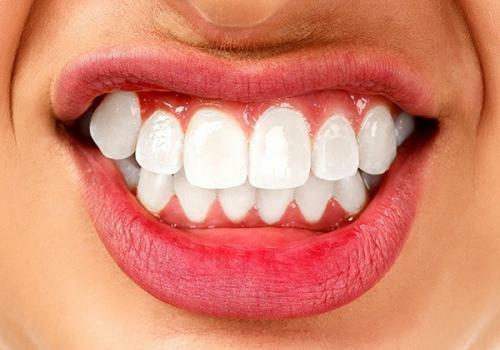 If the result is good, it is possible to create the same stable bite in the mouth. The dentist will in that case make a stable and comfortable occlusion with custom made ”guides” produced by our dental technician. Here we often use ceramic and composite combined. For any question, please contact us (TandCity), if you may think that you have a tooth grinding problem. 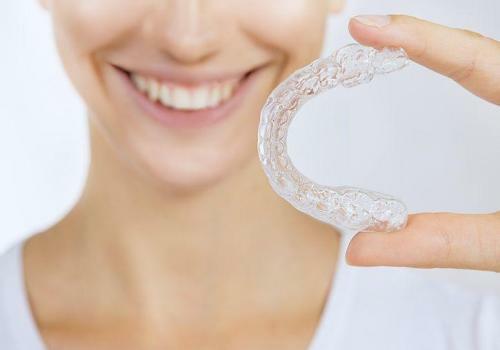 We will examine your teeth, joints and muscles, to find out if you might have some kind of Bruxismus, where we can offer you help.